Seating is limited, please register in advance at the link below. The workshop is free with no obligation. Light refreshments will be provided. Both Dr. Kevin and Dr. Ashley will be speaking on aspects of holistic health at Family Days on the Farm this year; an event that draws thousands of people to a large farm in Quarryville, PA. We would love for you to join us! *Dr. Kevin will be giving a seminar about the gut-brain connection and a restorative health paradigm from 10-11:10AM on Saturday. He will then have a question and answer session in the keynote speaker tent at 1:20PM. *Dr. Ashley will be speaking about environmental toxins and their impact on human health from 2:50-4PM on Saturday. *Additionally, Restorative Chiropractic and Functional Wellness Center will have a vendor booth, be sure to swing by and see us! There is no charge for the event, just a donation if you choose to enjoy the delicious, nutrient-dense, whole food meals that are served. We endeavor to provide an educational basis that promotes down to earth ways to bring forth nutrient dense food for homesteaders and farmers alike, while supporting sustainable and simpler lifestyles that promote cohesive, economical, and healthy, rural living skills. Enabling future generations to farm with a positive attitude and a strengthened motivation. Please be sure to like Restorative Chiropractic and Functional Wellness Center on Facebook by clicking here to be a part of the class. Please join Dr. Ashley for a presentation on holistic methods of supporting the body's immune system. With cold and flu season upon us, you won't want to miss out on this valuable information. This class will be held at Restorative Chiropractic Monday, October 16th at 6:30pm. The cost is $5 and you will take home an immune supporting essential oil roll-on and probiotic supplement. Please RSVP by calling the office to reserve your spot. This class will be held at Restorative Chiropractic Monday, August 21st at 6:30pm. The cost is $5 and you will take home an essential oil roll-on for increased focus and brain function and other back to school goodies. Please RSVP by calling the office to reserve your spot. Join Dr. Kevin and Ashley for a discussion on digestion and gut health, a lacto-fermentation demonstration, a time of Q & A as well as a buffet brunch featuring the gut healthy foods from Wyebrook Farm. Spaces are limited. For more information and to register for the event, visit Wyebrook's website. 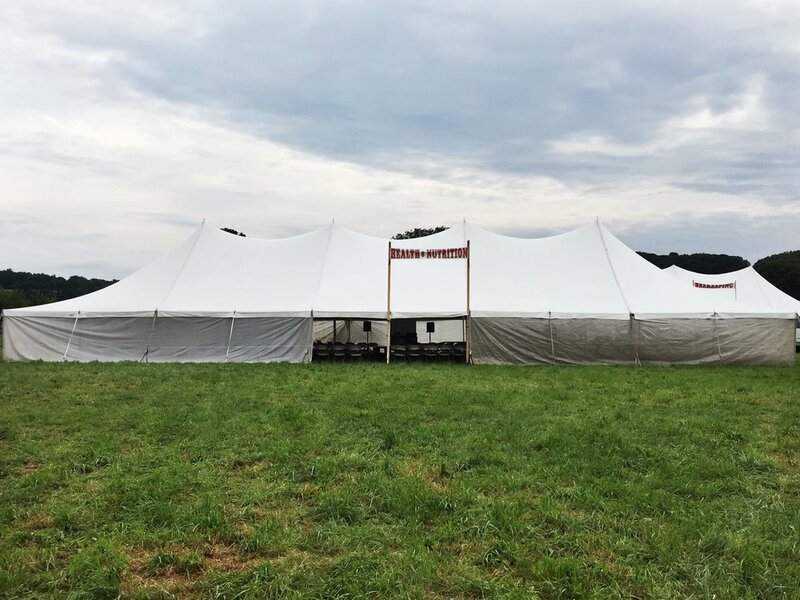 Both Dr. Kevin and Dr. Ashley will be speaking on aspects of holistic health at Family Days on the Farm this year; an event that draws thousands of people to a large farm in Narvon, Pa. We would love for you to join us! *Dr. Kevin will be giving a seminar about finding true health, gut health, and cellular restoration from 8:30-11am on Saturday. *Dr. Ashley will be speaking about gut health, the benefits of fermented foods, and giving a lacto-fermentation demonstration from 2:50-4pm on Saturday. *Founder of the Weston A. Price Foundation and friend of the Turner's, Sally Fallon will be discussing traditional diets, the benefits of raw milk, and why animal fats are an important part of human diets at various points throughout the weekend. Please join us Monday evening, May 8th for a class on non-toxic cleaning products. You will be able to make each of these products yourself and take them home. Bottles and dispensers are provided and will be yours to take home full of your own healthy cleaning products. There is a charge of $15 per set of cleaning products. Reservation for the class is required, please call the office at 610.458.0500 to claim your spot. It our society today, quick information is in abundance and self proclaimed "health experts" are everywhere. Thankfully, these things have gotten natural remedies like essential oils into the mainstream, but it has come at a cost. Unfortunately there is often unsafe misinformation being portrayed about essential oils. In an effort to educate people well in the safe and proper use of essential oils, we are providing a special education opportunity. Why are they important for wellness? How can I use them safely and effectively? Call the clinic at 610.458.0500 or email denise@restorativechiro.com to reserve your spot. On Saturday, March 25th we will continue the series with a demo and discussion on fermented foods, just in time for planting your garden. Alba will be showing how to present these ferments in your daily meals. Join us on Saturday, February 25th in a round table discussion on health and nutrition. Everything from microbiome and reducing inflammation to Kombucha and fermented foods. Bring your questions! Call Restaurant Alba at 610.644.4009 to reserve your spot! Do you feel inundated by all of the new health “experts” that you see? Everyone seems to know so much on social media and in your day to day discussions. How do you distinguish fact from fiction? Join us at Living Well Chiropractic for an informative class on the proper uses of essential oils. RSVP to 610.450.5888 to secure your spot! Continuing on in the Restorative Nutrition series Dr. Kevin Turner will be discussing the health benefits of bone broth and meat stock. Come and learn how these super foods could change your life and health. Learn step by step how to make these healing foods from homesteader and blogger Ashley Turner. Chef Sean Weinberg will then show how to incorporate these foods into our daily lives. Are you confused by all of the conflicting health information that you hear and read? Do you want to be able to distinguish between fact and fiction? Come and hear about how you can learn to navigate the confusing healthcare landscape that we now face. This first in a 4 part series will be enlightening and helpful for your decision making. This event will be hosted at Living Well Chiropractic. Reserve your spot by calling 610.450.588. Join us for a day of discussion and demonstration of the health benefits of live foods. The presentation will be hosted by Dr. Kevin Turner, who has spent years studying nutrition and health, not only for his family, but his patients as well. He has seen the benefits of restorative foods. The nourishing nature of fermenting vegetables and souring grains. Ashley Turner will demonstrate the process of preparing krauts and pickles. Chef Sean will be preparing a variety of selections for guests to sample, demonstrating how to incorporate it in daily lives.